Azamara Club Cruises today announced plans for the renovation of its two ships - Azamara Journey and Azamara Quest. Both ships are scheduled separately to enter drydock in 2012 and 2013, respectively, where each will receive a shipwide facelift and a new profile with a new dark-blue hull. Shipwide renovations will include new carpets, upholstery, and a new color palette in public spaces reflecting the cruise line’s inviting atmosphere; new mattresses and upgraded veranda furniture for suites and staterooms; and a resurfaced pool, and new sun loungers and pool towels on the outer decks. The Casino Bar also will be expanded and enhanced with new furniture, while the Spa and fitness center will be refreshed with a new steam room, showers, and state-of-the-art Life Fitness cardio equipment. Furthermore, a range of enhancements will be made behind the scenes in the staff and crew area to add to the comfort of the cruise line’s most valuable asset. On the culinary front, guests onboard will soon enjoy a new caviar and champagne bar within Aqualina, one of the ships’ two specialty dining venues, as well as a new Chef’s Table concept featuring three wine degustation menus – Italian, French and Californian. At Mosaic Café, the ships’ central gathering spot, guests will be able to purchase a freshly brewed cup of bespoke coffee. 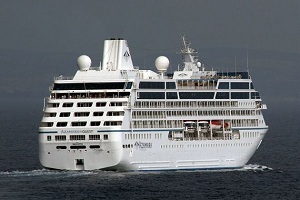 Azamara Quest will spend eight nights in drydock at Navantia Shipyard in Cadiz, Spain, starting Nov. 7, 2012. With renovations complete, the ship will then sail a 13-night Madeira and Canary Islands voyage, beginning November 15, followed by a four-night Spanish and Northern Africa voyage on November 28. The ship then departs on December 2, to embark on a 16-night, trans-Atlantic voyage to Rio De Janeiro for its South America season. Following, the Azamara Journey will enter Singapore’s Sembawang Shipyard on Jan. 6, 2013, for a seven-night renovation drydock. The Journey will then continue its Asia season with a 13-night Indonesia voyage round-trip from Singapore on January 13.